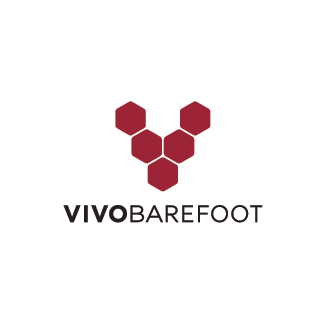 CUSTOM ORDERS: Vivobarefoot sell an amazing range of exercise, off-road and everyday shoes and we sell EVERYTHING in that range! Minimum 10% of Most Shoes! $400! Don’t be alarmed by the price here. We use this SHOP PRODUCT OPTION to customize your order and give you the best deal on your new VIVOs. When it comes time to making payment we will email you a COUPON which will adjust the final price. Read the Terms & Conditions below to find out how to ORDER and get a GREAT DEAL on your new VIVOs. Or contact us via Facebook Messenger, Instagtram (@thewildingproject) or our Contact Page. STEP 3: We’ll then help you with your order. Easy! SHIPPING: We offer free shipping for orders over $100. For orders under $100 a flat shipping fee of $5 applies. RETURNS & REFUND: We are super proud to offer a minimum of 10% discount off the RRP of your VIVOBAREFOOT shoes in addition to free shipping for orders over $100 and one free exchange. Because this is such a good deal you MUST choose your shoes carefully. We do not accept returns or issue refunds for change of mind. This policy does not affect your statutory rights as a consumer. You must choose your shoe from the Australian VIVOBAREFOOT store. Check their stock while you are at it because we access the same stock. Once you have chosen your shoe return to us to make your purchase at heavily discounted prices. EXCHANGE: Please choose your shoe size carefully according to the VIVIOBAREFOOT size guide. Feel free to also use our ‘How to measure your feet’ guide in SHOP#02. If your ordered shoe does not fit when it arrives, we offer a one-time exchange of size.